This course gives an overview of the Cost Reimbursement, Fixed Amount, and Education Award Program budgets as well as covers the financial reporting requirements for reach budget type. Understand what it takes to carry out your AmeriCorps program. AmeriCorps staff. 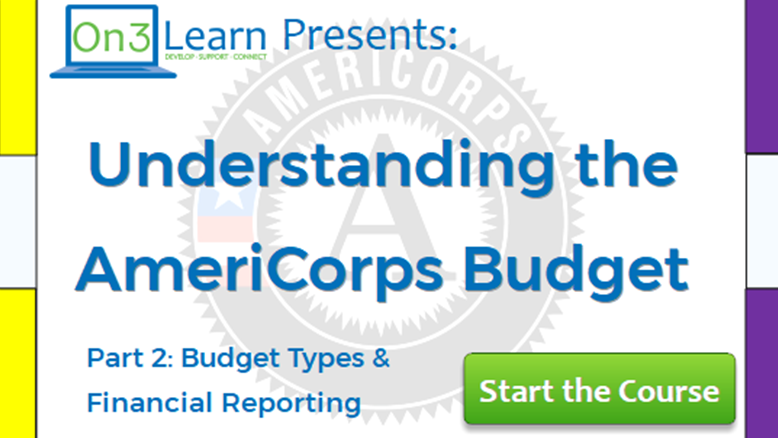 This course should be taken by any staff responsible for managing and/or creating the AmeriCorps budget.